Mobile Auto locksmith services – Available 24/7 for all car models! Did you lose your car key? Or experiencing a car lockout? Need Ignition repair? If you are in need of automotive locksmith service, you have come to the right place! We offer 24/7 auto locksmith services nationwide. Call our toll free number (866) 670-3266 and we will get to your location in less then 20 minutes. We only work with legal and bonded, certified locksmiths all over the country, and guarantee to solve your problem in a professional, timely and cost effective manner. 24/7 locksmiths is the answer to all your auto-mobile, SUV and truck related questions. We Service any car make or brand, 24 hours a day, 7 days a week at any location. Lost your car key, or need a spare? Our mobile automotive locksmith will come to your location and make a key on the spot. 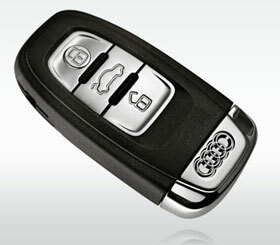 We can make a basic replacement key for your vehicle in about 20 minutes. If your key contains a microchip (transponder key) it can take a bit longer then 20 mins. Either way, our mobile emergency locksmiths are trained and skilled get you in your car without any damage and get you back on the road quickly. Call 24/7 Locksmiths now at (866) 670-3266 to get anything from a valet car key, to a lock repair quote. Our services are guaranteed around the clock, 7 days a week. We are quick, efficient, and professional. Our prices are among the lowest in the country and our price quality ratio is impossible to beat! We service every vehicle, from large diesel trucks to classic old-world-charm gems and value-oriented family vehicles. All are welcome: coupes, sedans, trucks, SUVs, jeeps, convertibles.. you name it, we handle it! Don't worry about finding a local office, we already pre-selected the best certified automotive locksmiths conveniently located near you. Our locksmiths have years of experience behind them, are bonded, licensed and insured. Count on us to service your vehicle and to unlock any of your key concerns. Call our 24/7 auto locksmith for a quote or free advise for your specific problem. Estimates are 100% free and will be handled in a courteous professional manner! Call (866) 670-3266 and we will guarantee a knowledgeable live customer service representative to provide over-the-phone customer service followed by quick and reliable on-site response if needed. We ensure high quality of service and quick turn around times. Especially in emergency situations we try to be on location in less then 15 minutes, and always within 20 minutes. No matter what the question, the time of day or night, 24/7 Locksmiths is here to help you!